The cut of a diamond is one of the most important characteristics when buying a diamond or gemstone. The life and beauty that comes from diamonds is all about how light interacts with each stone. 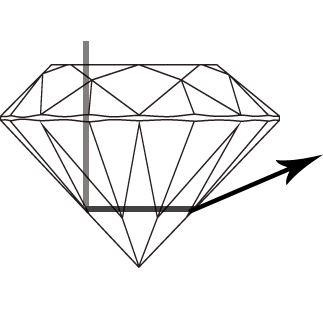 Diamonds and gemstones sparkle when light is refracted inside the stone and shoots out the top. Stones that aren't cut well, look dull and won't have that beautiful, bright sparkle. Diamonds that are cut well, refract light inside the stone that comes out through the top, creating a gorgeous sparkle. 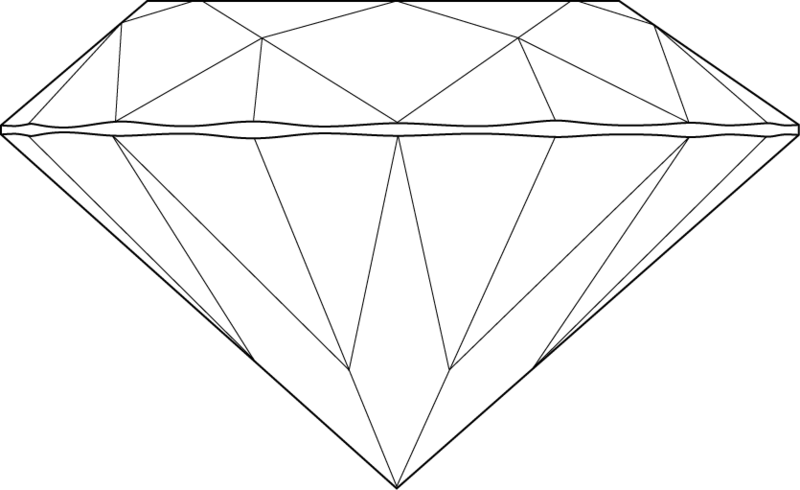 Diamonds that are cut too shallow let most of the light escape through the bottom. Shallow-cut stones lose sparkle and look dull, especially when stones have a film of soaps, lotions and oils from every day use on the bottom of the stones. Stones cut too deep also appear dull and don't sparkle as much. This happens because too much light is leaving through the sides. 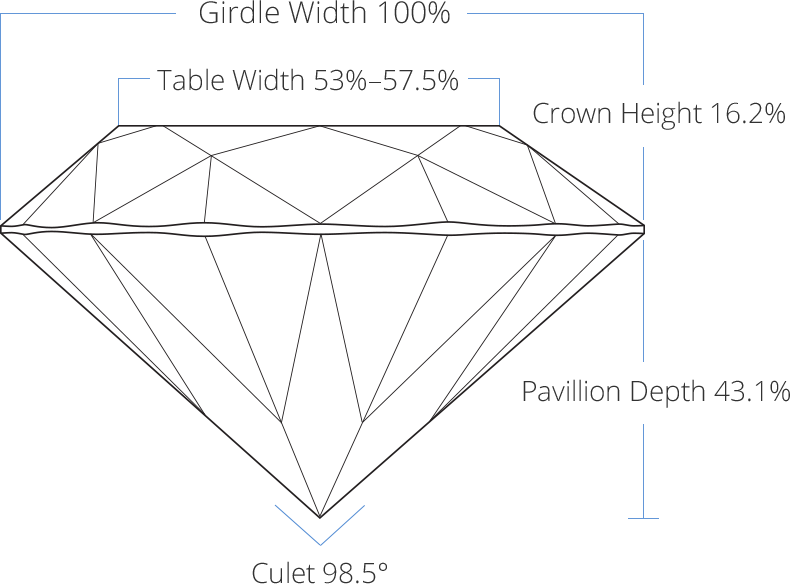 Diamonds are considered ideal when cut to specific standards. The measurements and certain proportions can help you know exactly how good the cut is. There are a lot of numbers to consider but here are some of the most basic to consider when looking for a gorgeous diamond or gemstone. When your diamond is within or close to these measurements you can know for sure that your stone will look great and sparkle! 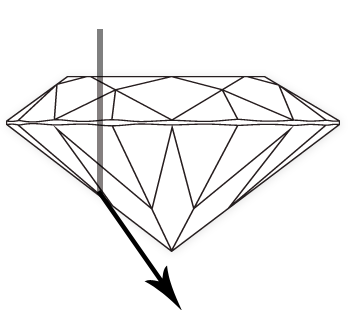 When a diamond is cut with the proper proportions, light shoots out the top of the stone with shine and sparkle. If it is cut too shallow, light leaks out the bottom; too deep and light escapes through the sides for a dull stone. The clarity of a diamond refers to how free of blemishes and inclusions it is. Diamonds are graded on a scale with a perfect stone being flawless, and the most inexpensive stones sometimes having large inclusions. 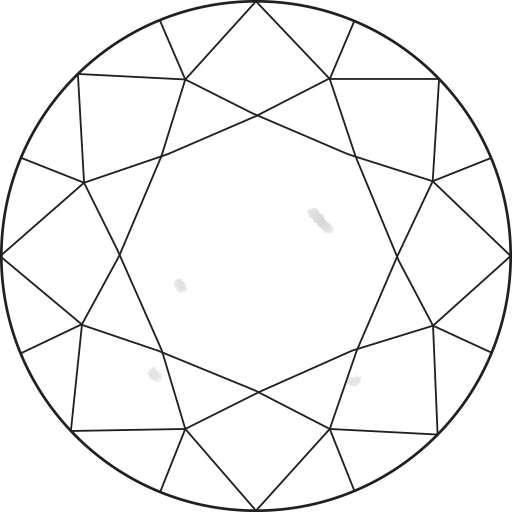 Inclusions are imperfections or internal markings within the stone. These markings are created naturally as the crystal forms, and are graded under 10X magnification. Clarity gradings include F for Flawless, IF (internally Flawless), VVS1-VVS-2 (very very slightly included), VS1-VS-2 (very slightly included), SI1-SI-2 (slightly included) and I1-I-3 (included). Flawless diamonds tend to be very expensive where included diamonds tend to be the least expensive. Most customers find the most value around the VS2- SI-2 range where you would need a microscope to see any imperfections. 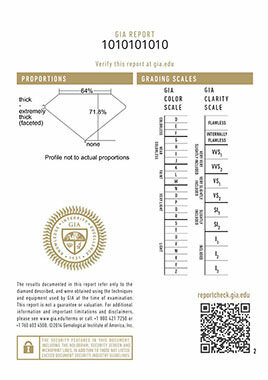 Diamonds are graded using a scale from D–Z. Stones near D-F are considered colorless while those near K–Z have a noticeable color, usually yellow. Like Cut, Color is an important part of finding the diamond that's just right for you. Some of the color grades and levels are so subtle that they are hard to see without proper training. Diamonds Fine Jewelry is very knowledgeable and can show and help explain subtleties in diamond hues. Want a diamond with Fancy color? We can do that too!  Carat weight is easily the most misrepresented term used when buying a diamond. We usually think of a 1.00 carat as a size measurement, however carat is actually a weight measurement. As an example, you can have 2 diamonds that have the exact same weight, but have 2 dramatically different sizes or dimensions. The cut of a diamond is the most important C of the 4c’s. The cut of the stone determines how much light will refract in side the stone and therefore will determine how well the stone sparkles. A stone that is cut poorly or “Off Cut” will not sparkle as much as a stone that has an excellent or “Ideal” cut. While one carat equals 200 milligrams, it's usually divided into points where one carat equals 100 points. It's fairly common to hear a jeweler call a .75 carat stone a “75 point stone”. 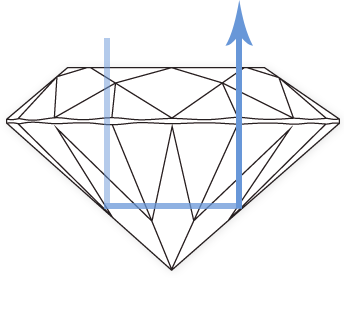 Two diamonds with equal carat weight can be priced very differently depending on their respective cut, clarity, and color. Be sure to take all four C's into account and you'll more than likely end up with a better and brighter stone than you expected! 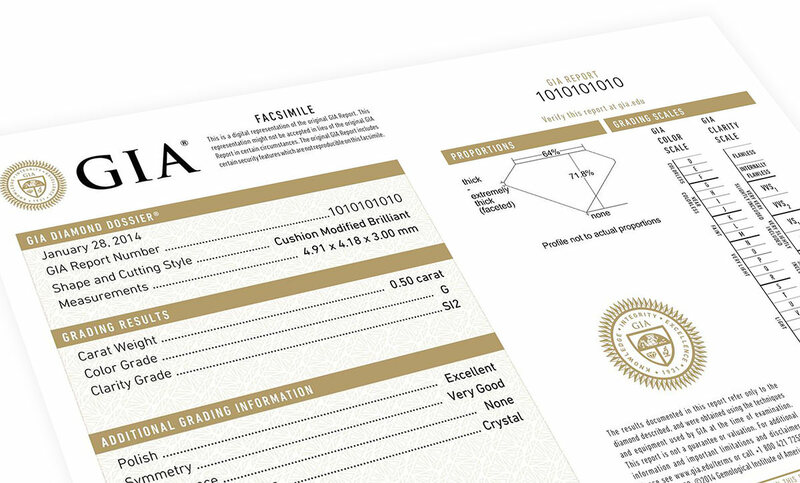 There are a few different certifications used when dealing with diamonds. 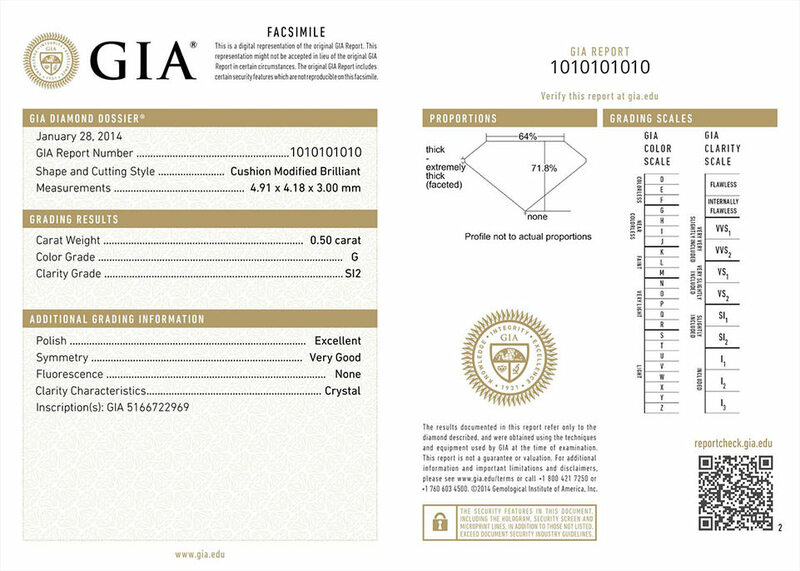 Most commonly, and industry standard is GIA or (Gemological Institute of America). The GIA exists to connect people to the understanding of gems. They are committed to protecting diamond buyers and created the International Diamond Grading System. 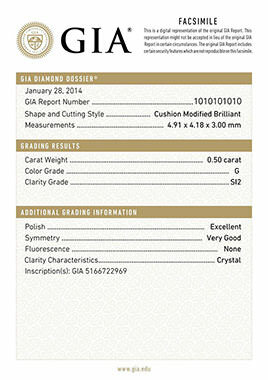 Diamonds Fine Jewelry, along with the most respected retailers use GIA to grade and verify diamonds and gem sold.